Arts Unleashed: upcoming events at MNH! Jane gave her talk on vintage fabric this afternoon to a small but interested group of people. Tomorrow, our wonderful florist, Lorraine Beswick, will be here at 11:30 to give a demonstration on flower arranging. And on Friday the 23rd, I will give a demonstration on needlepoint techniques at 2 pm and you can come down and try some stitches. Below is Jane during her talk this afternoon. Hope to see you down at MNH here in Annapolis Royal. Jane talking about 1950s atomic barkcloth. 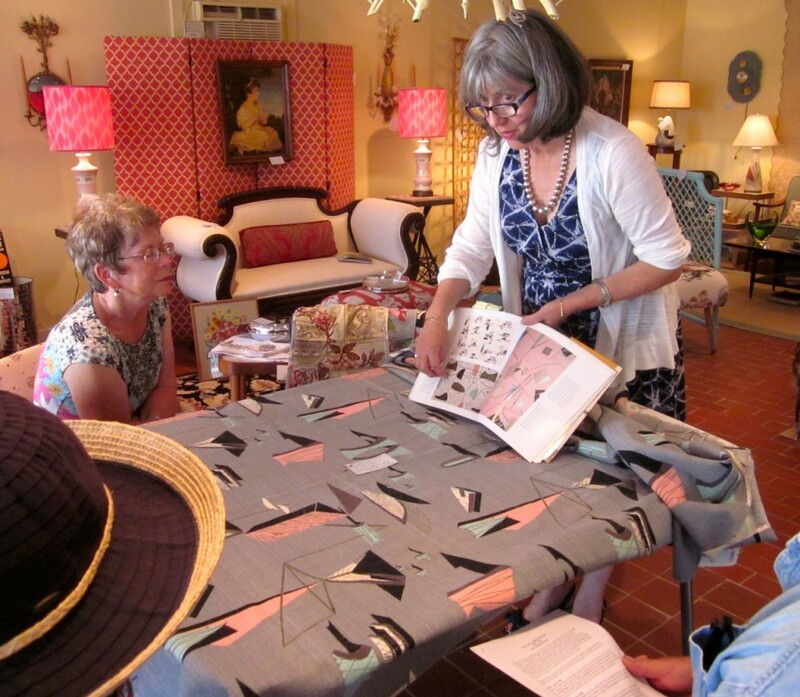 « Explaining vintage fabric design!